The Bachelor couple Catherine Giudici and Sean Lowe are still crazy about each other five years after getting engaged on the show's seventeenth-season finale in 2013. Catherine and Sean welcomed their second child, a baby boy named Isaiah Hendrix, in May, and they are also also parents of son Samuel Thomas, who will celebrate his second birthday next month. Catherine gushes about her little ones all the time on social media but felt the desire to give her husband a sweet shoutout on Thursday. "I've been nonstop posting about our sweet precious babies, but let me brag on my husband for a second. 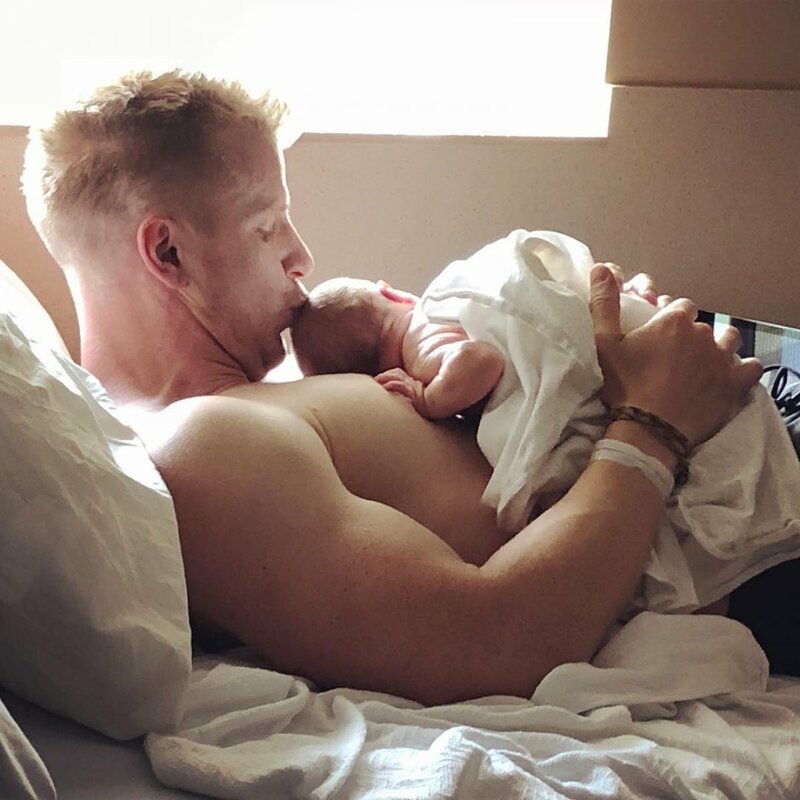 This man has been so extremely patient, attentive and loving toward me and our boys since I got pregnant with Isaiah," Catherine captioned a photo of Sean and their newborn in bed together. "Father's Day is on Sunday but I really appreciate everything he does for us on the daily. The guy you witnessed on The Bachelor/ette, that wholesome, respectful, hot, family guy is still around, but this time, I'm the only woman in his life and he makes sure I know that every day. I love you honey, you are a great, great man." Shortly after Catherine shared that post, Sean wrote on Twitter, "I chose Catherine on The Bachelor and she has chosen not to kill me each day since. It's a beautiful dichotomy." Before Sean starred on Season 17 of The Bachelor, he appeared on Emily Maynard's edition of The Bachelorette and finished in third place. After Sean and Catherine's The Bachelor stint, Sean competed on Dancing with the Stars' sixteenth season. The couple tied the knot in January 2014 for a live ABC television special. They both subsequently appeared on Celebrity Wife Swap and Marriage Boot Camp before Samuel was born in July 2016. The Bachelor just wrapped its 22nd season starring Sean and Catherine's good friend, Arie Luyendyk Jr., in March. "[Arie's] finale of course reminded me of my time on The Bachelor when I proposed to Catherine in Thailand. That moment on bended knee, placing the diamond ring on her finger was one of the very best moments of my life," Sean gushed on Instagram, later adding that Catherine is the best person he knows. The Bachelorette is currently airing its fourteenth season starring Arie's ex-fiancee, Becca Kufrin, Monday nights on ABC. 'Dancing with the Stars' pros Val Chmerkovskiy and Jenna Johnson engaged!